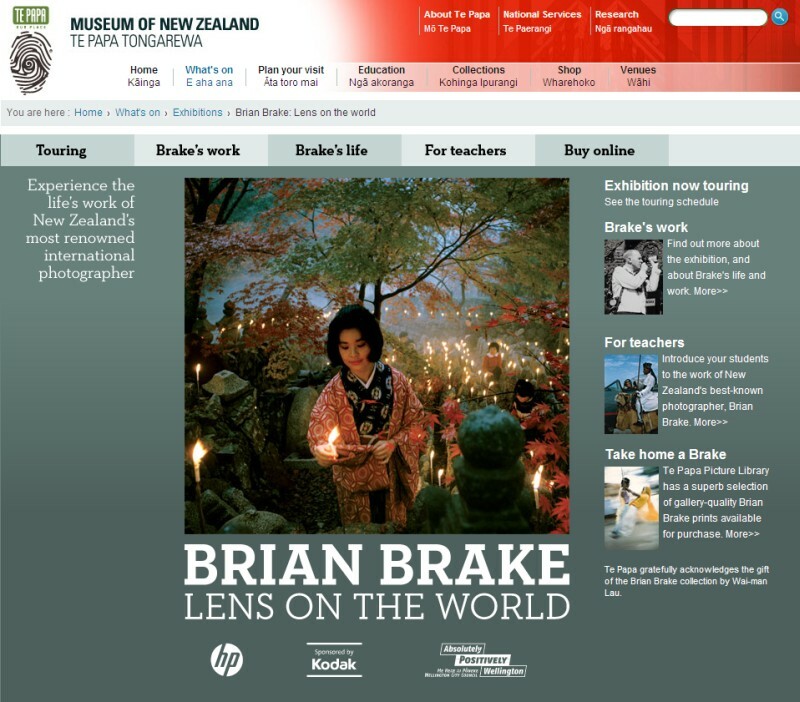 The exhibition Brian Brake: Lens on the World is now touring New Zealand and recently opened at Auckland Art Gallery, where it drew large crowds on its first weekend. This followed phenomenal attendances at its inaugural showing at Te Papa. 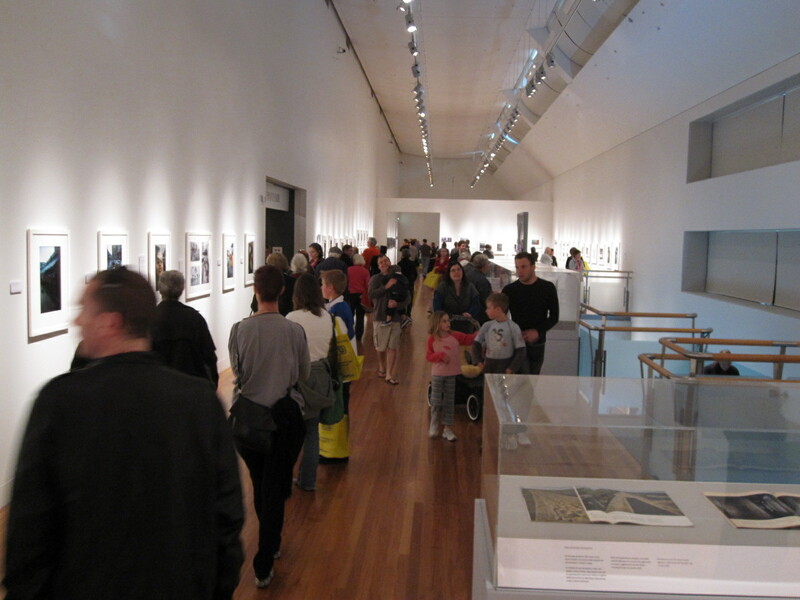 An estimated 191,000 people visited the exhibition over its six and a half month duration. That’s an average of 1,000 a day. On opening day there were 2,700 visitors. I’m not surprised by the opening day’s figures, because when I gave a floor talk on that weekend there were so many people in the gallery I couldn’t stand back to address the audience: I was simply part of the crowd. I was wearing a near-invisible microphone and I’m sure many people had no idea whose voice from amongst us all they were hearing over the speaker. You can Vote and Win! 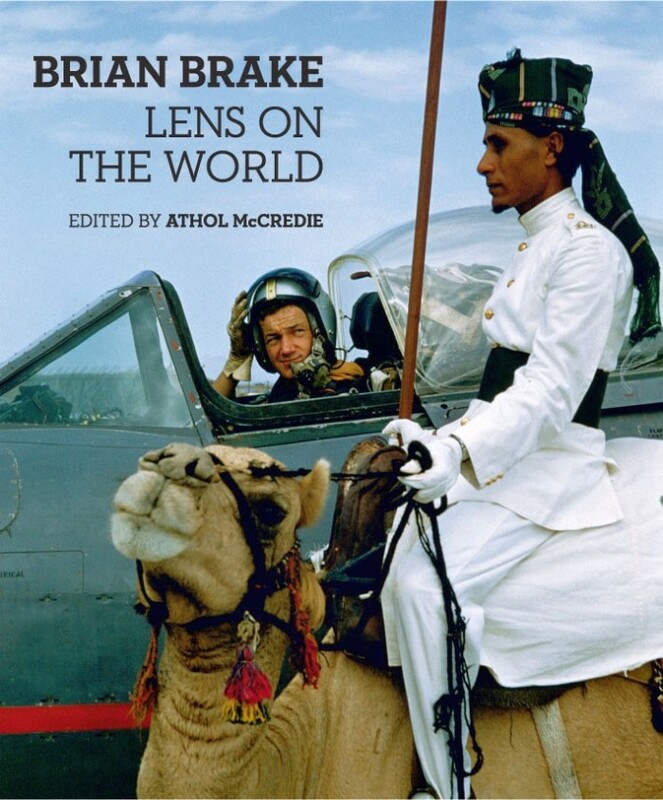 The day after the exhibition opened in Auckland it was announced that the catalogue, Brian Brake: Lens on the world was a finalist in the New Zealand Post Book Awards – in the Illustrated Non-fiction category. There are some other excellent books in this category, so who knows if it will win, but there is also the possibility of gaining the People’s Choice Award. You will have to help though. Vote for it on-line before 8 July and you will also be entered into the draw to win $1,000 worth of book tokens! 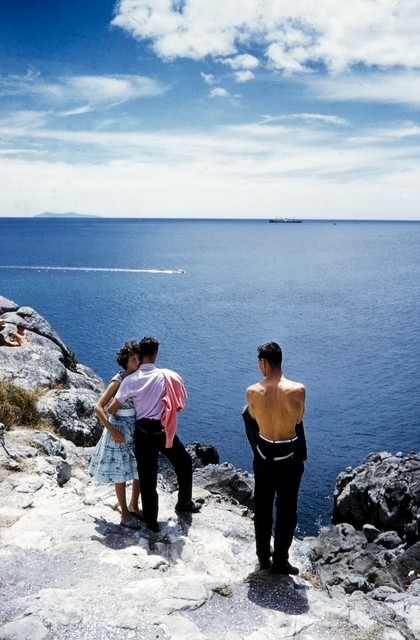 Brian Brake, ‘Holiday makers at Tauranga’, 1960, 35mm colour transparency. Gift of Mr Raymond Wai-man Lau, 2001. Te Papa. I was pleased to discover that Brake said that this photograph of young people on a cliff near Tauranga was also one of his favourites. He regretted that it was left out of the 1973 edition of New Zealand, gift of the sea due to the by then dated clothing styles. Actually, I think today that it’s the fashions which contribute interest to the image. Not only could it be read metaphorically as distracted youth standing in front of the vast expanse of future possibilites, but also as exactly how the 1960s felt. Brian Brake, ‘Lee Kuan Yew, island tour, Singapore’, 1963, 35mm colour transparency. Gift of Mr Raymond Wai-man Lau, 2001. Te Papa. This one is a barely-known image, though it did appear in the international edition of Life for an article on the long-serving prime minister of Singapore, Lee Kwan Yew. It was used as a copy image from Life magazine in Brian Brake: Lens on the world, but now we have found the original, which is much clearer. 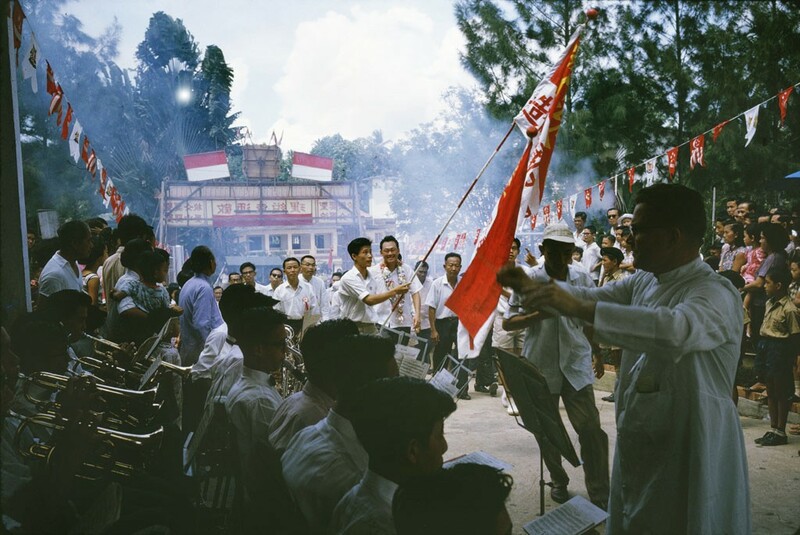 I love the controlled chaos of the scene, taken on an electioneering tour, with the band conductor looking sideways to check the advance of the procession, the man dodging ahead of it, and the suggestion of firecrackers by the smoke-filled background. As a Chinese dissident, Liu Xiaobo was sentenced last Christmas day for “inciting subversion of state power. mention magnifiers, burning glasses (because holding them in the sun over a piece of parchment or cloth would set it on fire), and magnifying glasses. Relationships amongst people are difficult but they are oh, so valuable and rewarding. a number of websites for about a year and am concerned about switching to another platform.